Every carbohydrate food that is eaten has an effect on blood sugar. Some of these foods increase the blood sugar rapidly and others do so gradually. Obviously the carbohydrate foods that increase blood sugar gradually are better preferred for overall health than the ones that shoot up the blood sugar rapidly. 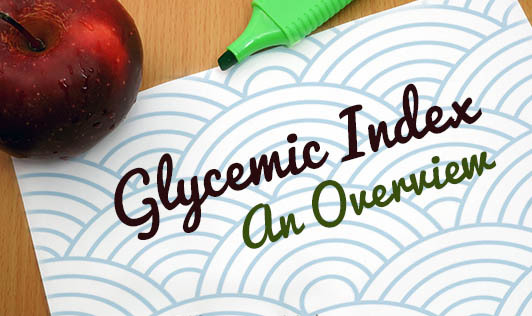 Glycemic Index (GI) is a tool that tells us the effect of carbohydrate foods on blood sugar. Foods are given a rating from 0 to 100 on the Glycemic Index. Glucose has a rating of 100 because it immediately acts on the blood sugar level. Foods with a high GI increase the blood sugar rapidly. However, the reaction to food varies from individual to individual. The body's response to food will relate to several factors including age, activity level, insulin levels, amount of fibre and fat in the food, how refined (processed) the food is and what was eaten with the food. Some examples of high GI foods are soft drinks, chocolates, ice-cream and white bread. Some examples of low GI foods are ragi, wheat, pulses and, in general, high fibre foods. A basic understanding of GI can help diabetics control their blood sugar better. Although the GI of foods differ, diabetics can work out with their dietitians to find out what meal plan suits them the best. GI information also helps those who are on weight control. Low GI foods will increase the sugar levels in the body to sustain energy levels for longer periods of time. This means an individual will feel less inclined to eat because energy is being slowly released into their bloodstream. After exercises, high GI foods will help to recover from a workout. While carbohydrates that are high on GI are great for raising low blood sugars after intense exercising, the low GI foods are helpful in maintaining blood sugar levels for long periods of exercise. There might also be a role for low GI foods in controlling lipids better.